It seems Xiaomi Malaysia and Singapore will be postponing their online sale today to tomorrow 28th of May 2014. As they were experiencing some technical issues with Amazon Web Services which affected their sites- www.mi.com/my and www.mi.com/sg. 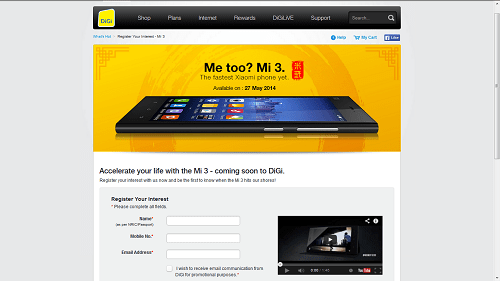 Just a few days we reported Digi had published a Xiaomi Mi 3 Interest registration page. Not to be left out. 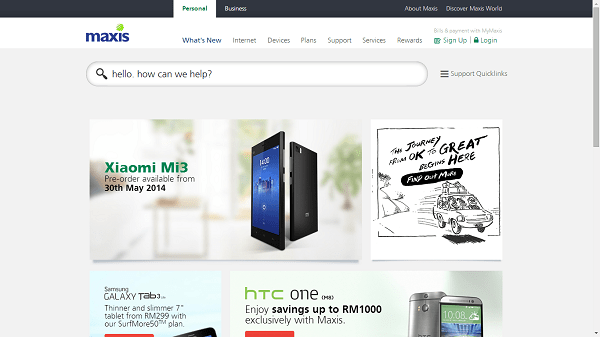 Maxis has also published a post on the Xiaomi Mi3 on their website. As per the screenshot bellow.. According to a Digi Webpage. Digi will be bringing in the Mi3 by Xiaomi. The developer of the popular Android port – MIUI ( MI = Rice, UI = User Interface). The MI3 which is the third interation of the MI phone runs MIUI. If you are interested of getting one. 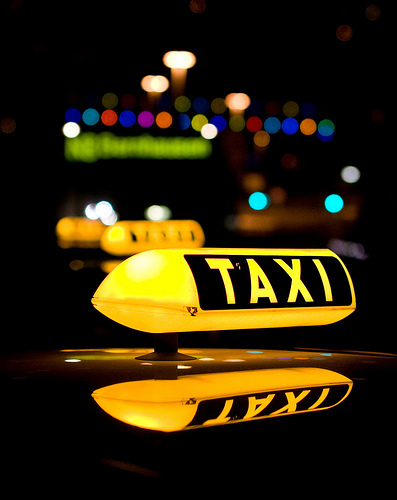 Just head on to the Digi Webpage and register your interests. 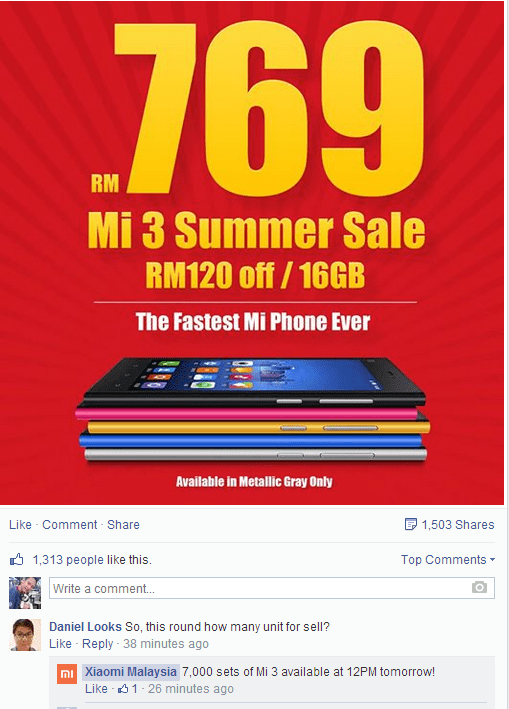 When the MI3 was open for sale online on the 20th of May. It was sold out in minutes. This would bring this value for money and very popular but limited in quantity phone within the reaches of Digi Users. The already good value for money phone is sold at $899. It would be interesting to see how much more cheaper Digi would make this phone.